Finland holiday cottage. Set 10 km from Arktikum Science Centre and 16 km from Santa Claus Village - Main Post Office in Rovaniemi, Villa Pahta offers accommodation with a kitchen. This villa provides accommodation with a terrace and free WiFi. The villa has 5 bedrooms and 3 bathrooms with a shower and a hair dryer. A flat-screen TV is provided. The villa offers a barbecue. If you would like to discover the area, hiking is possible in the surroundings. University of Lapland is 7 km from Villa Pahta, while Rovaniemi Local History Museum is 8 km away. 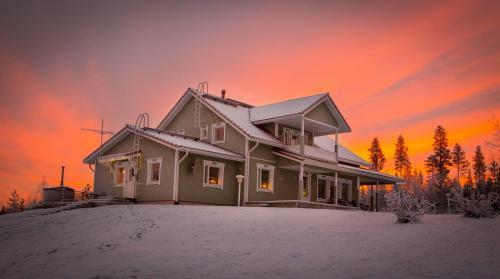 The nearest airport is Rovaniemi Airport, 18 km from the accommodation.